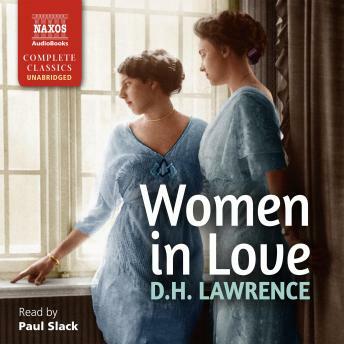 Considered the most widely read novel of the 20th century, D.H. Lawrence's fiery fifth book continues the loves and lives of The Rainbow's Brangwen sisters, Gudrun and Ursula. Gerald Crich, son of a wealthy colliery owner, captures the heart of Gudrun, while Ursula becomes enamored with Rupert Birkin, a school inspector - their complex relationship likely modelled on that between Lawrence, his wife Frieda, and John Middleton Murry and Katherine Mansfield. Things are far from harmonious, and the discord and conflict leads to many heated and elaborate philosophical discussions about modern society and the nature of love, while tragedy looms large. Lawrence held this to be his best book, and F.R. Leavis regarded it to be his most profound and rewarding.